The Texas QSO Party occurs on the last full weekend in September. The 2017 dates are the 23th and 24th of September. Operating times are from 1400Z on SATURDAY to 0200Z on SUNDAY and from 1400Z to 2000Z on SUNDAY. Operation on all bands except on 60 meters, 30 meters, 17 meters, and 12 meters is permitted. Stations may work the entire contest period. Be sure to submit your scores by October 31. This is a great chance to work your fellow Texans and it’s fun, too! Just read the rules at: http://www.txqp.net/ and try to work as many stations in Texas as you can. BUT WAIT! You are in Texas, too, so try to work as many states and countries as you can. Just call: “CQ Texas QSO Party”. Each new state or country counts as a multiplier. No matter how many or how few stations you work, turn in your score as per instructions on the home page. 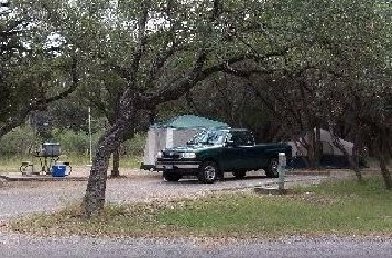 W2IK will again be running mobile in 10 counties south of San Antonio using a special 38 ft antenna designed and made for this contest. He will be operating on 20 and 40 meters. If you work him, please post on DX Summit. If you’re bored and you know it, charge your batteries, dust off those emergency go-kits sitting in the garage, and get your radios programmed to work these upcoming events. Even if you aren’t bored, it’s still that time of year anyway. I know more help is really needed for the two upcoming bike rides on September 21st and October 12-13th. I’m pretty sure that all of the other events will be grateful for some extra ham help as well. October 5th – BikeMS150 San Antonio Training / Briefing meeting for hams / volunteers at 10am – Lee N5NTG. This weekend, join hundreds of hams as they work all the counties in Texas during the annual TEXAS QSO PARY. Check out: http://www.txqp.net/ for details, rules and very valuable resource pages. This year, W2IK will join a long list of operators in working as a mobile station, transversing counties to gain points and give out county QSO’s. Check in the resource pages to see who will be operating in each county. W2IK/M will be “running” mobile from: Bexar, Wilson, Karnes, Live Oak, Atascosa, McMullen, LaSalle, Dimmit, Maverick, Kinney, Uvalde, Zavala and Frio counties in that order. Checking my mail box yesterday, I was quite surprised to find an envelope from the “Heartland DX Association”. 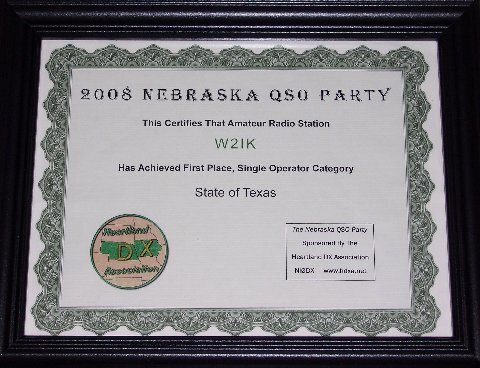 This club runs the Nebraska QSO Party, which is held in late April each year. I had competed in this contest in 2007 and was given a certificate for top score from Texas. In 2008, I again competed but never received a reply nor were any results posted. Since I never knew what really happened, I didn’t compete in the 2009 event. You can imagine my shock when I just received a certificate for “Tops From Texas” for the 2008 contest! In 2010 I will compete in other state QSO events and hopefully will get rewarded with more certificates, but in a more timely manner. You should try a few of these contests as well as they are alot of fun! San Antonio ham, W2IK, wins top honors, and this plaque, for his 2009 efforts. Happy Holidays! I’m emailing you, as participants of last year’s NMQP, to announce the 2010 New Mexico QSO Party. You are invited to participate in 2010’s event, which will be sponsored by the Valencia County Amateur Radio Association, and take place Sunday, February 7 from 8:00am MST until 8:00pm MST. Last year marked the return of the New Mexico QSO Party after a brief hiatus. Improved promotion, rules, and awards for the winners of various operating categories resulted in 127 participants…plus probably many more who didn’t submit their logs. Specifically, 44 participated within New Mexico (including 7 mobile stations who activated a combined 24 of New Mexico’s 33 counties), and 73 participated from elsewhere in the United States. Ten DX stations — from Canada, Lithuania, Azores, Czech Republic, Germany, and Romania — also participated and submitted logs. The Texas QSO Party occurs on the last full weekend in September. The 2009 dates are the 26th and 27th of September. Operating times are from 1400Z on SATURDAY to 0200Z on SUNDAY and from 1400Z to 2000Z on SUNDAY. Operation on all bands except on 60 meters, 30 meters, 17 meters, and 12 meters is permitted. Stations may work the entire contest period. Be sure to submit your scores by October 31. 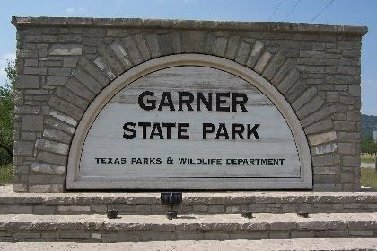 A group of hams representing the Bexar Operators Group, and using the W5BOG callsign, drove over 100 miles to Garner State Park to operate during the 2008 Texas QSO Party (September 27-28) handing out contacts from Ulavde County. While we were there, we also tested our camping/deployment abilities and did some tests of NVIS antennas at different heights. Not wishing to get “soft”, we reserved a tent site to operate from rather than a cabin. 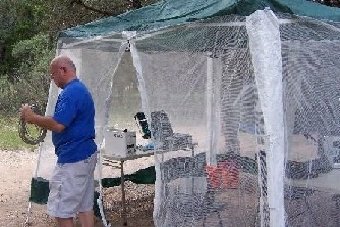 Krissy, KD5YTN, set up the eight man tent while Bob, W2IK, began the station set-up using a 10×10 screened “EZ Up” as the main operating area.